How to pay by credit card for Hystou Mini PC? Select the credit card you want to use, enter the required details and click “Pay My Order”. Once your payment has been approved, your money will be held securely in an AliExpress Escrow account. Payment will only be released to the hystou after you confirm satisfactory delivery. 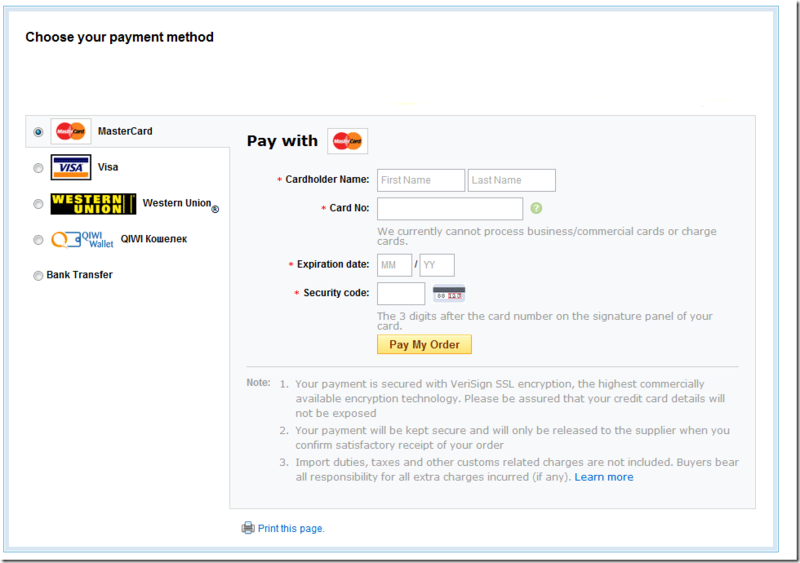 After you’ve made your payment, click “Back to Order Details” to see the details of your order.